Our equipment and adaptations information will help you to find equipment and technology that could help you with your daily living at home. Read our equipment and adaptations information pages. Read our information about house, garden and pet care. Do you have any difficulties around the home? For example meals, laundry, washing, etc? Find information and advice in our Managing at homesection. Find out about Meals on Wheels in Hampshire, Portsmouth or Southampton. Search for home care agencies that offer Personal care (bathing, dressing, help to use the toilet etc) as well as other services. Do you find it difficult to get out and about? Find information about public and community transport, Blue Badge parking, shopping, holidays, leisure activities and more in our Getting out and about section. DisabledGo provide accessibility guides for venues across Hampshire. Are you concerned about staying safe in your home? We have information about home security, fire safety and scam and nuisance calls. 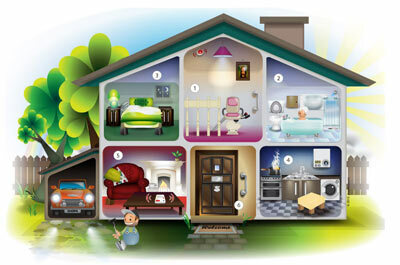 Find information about home repairs and contact details for household emergencies. Read our advice on how to prevent falls. If you think that you, or someone you know, might be being abused, please read our safeguarding information and contact the appropriate authority. If this is an emergency, call the police on 999. Are you worried about having a fall? Read our tips and advice for preventing falls and simple balance exercises which you can do. Read our wellbeing section on Being social and our information for older people on Tackling loneliness. Search our Community directoryfor groups and activities in your community. If you are finding it difficult to manage in your own home, you may find it useful to explore other housing options such as extra care housing or sheltered accommodation. We have a section on this site that is dedicated to carers. You can find information and advice on what support and services are available, how you get those services and more. There’s also advice on what to do if the person you care for can no longer manage their own affairs. Search our Community Directory for national organisations and local groups offering support for carers.